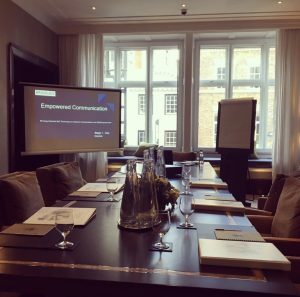 How Training and Presenting defined my year in business for 2017! What a year. 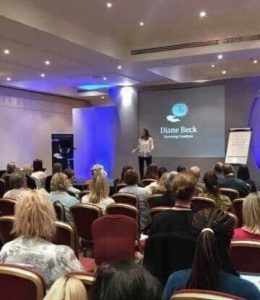 2017 was the year of presenting and training for me in business as I moved out of the Hypnotist chair back onto the stage, this time sharing secrets and skills as a presenter and trainer and on BBC radio discussing phobias and stress as a featured expert. What fun I’ve had and I have learnt so much in the process! Below I share my thoughts on the wonderful year it was sharing hypnosis and NLP in business. 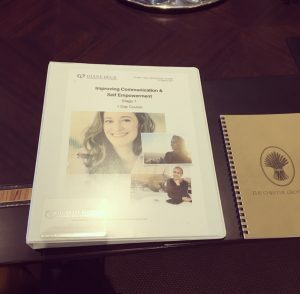 I’ve enjoyed training in the corporate world and also privately to small groups sharing skills, my ideas and techniques. Roll on 2018. 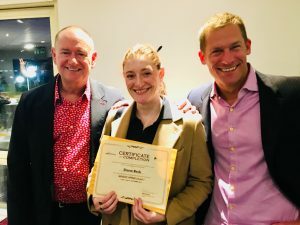 As my coaching clients become aware of, goals can manifest very quickly when you decide to take massive action towards achieving them and one of my business goals was to train and present my ideas in 2017. 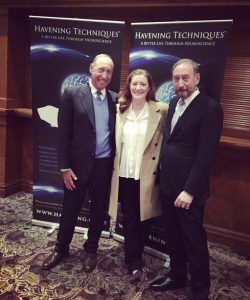 The most significant presentation for me personally, was my presentation at the Havening conference.An audience of excellent and highly trained therapists, doctors and neuroscientists including the creator himself Dr Ronald Ruden was a daunting task. 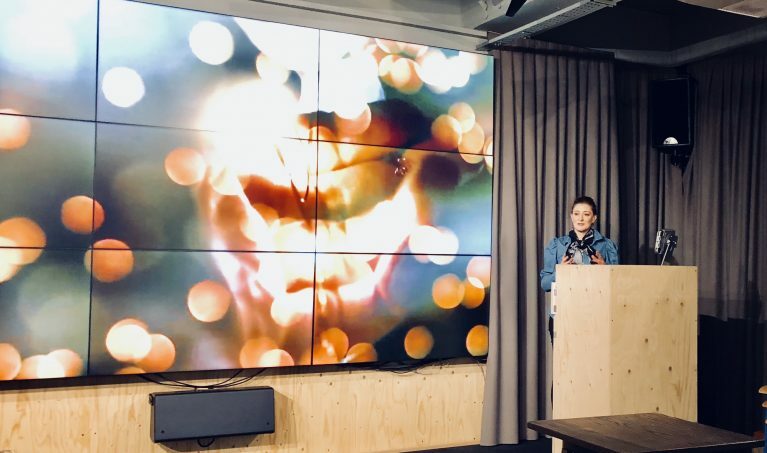 For me, this important delivery of my approach, using Dr Ruden’s techniques and my theory of use with actors and creatives was a personal challenge and retrospective triumph. The tone was set for a year of public speaking and presenting in each case teaching me lessons that only the action of presenting itself can teach. I felt I earned my stripes in 2017. I’ve been in front of large audiences as an actor ‘in character’ or an actor discussing the work from the stage. Presenting and training are very different and this was the year I learnt what it is to structure ideas and present them to be learnt using trance inducing story telling and subconscious communication to the different styles of learning. 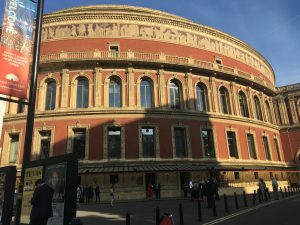 My biggest public speaking booking was presenting to an audience of business leaders at the Business Awards ceremony at the Royal Albert Hall. 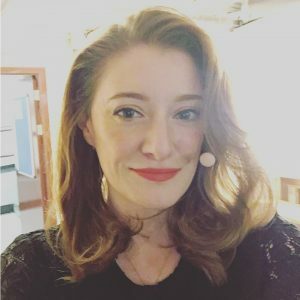 It has been a fast and exciting year and I hope to share what I’ve learnt both as an experienced stage and screen actress and Master Practitioner of both NLP and Hypnosis. We continue to learn all the time. My corporate trainings were a lot of fun. Using NLP for sales, to working effectively with clients using covertly successful rapport building to the useful presentation skills and removal of stage fright. There are slants and perspectives that are being honed for future trainings and I’m excited to share in 2018. I have meetings penned for the new year for ongoing trainings internally, both privately and in the corporate sector. It seems as though hypnosis is in growing demand and people are tuning into the potential uses of trance, story telling and subconscious rapport building with their audiences. Something only 20 years in the entertainment story telling industry can teach you. I share my secret learnings with my valued clients. Train with me in this skill set and expect to maximise your potential. With my new Cert for ‘Mindscaping’ with creator Mike Mande,l hypnosis at its most creative! I want improve constantly and always give you the best I can. For the benefit of my private client base I continually train in the latest techniques to enhance further results. New certifications include the brilliant ‘Mindscaping‘, which I trained in with its creator Dr Mike Mandel late in the year. A hypnosis technique based on modelling the successes of renowned hypnotist, Dr Milton Erickson. It’s uses are infinite and results are fast acting and feedback is positive especially with Skype clients. I also trained in Kinetic Shift. A brilliant new approach to rapidly removing negative emotions. Based in hypnosis and NLP it also uses movements I recognise from EMDR, a basis in understanding our energetic connection to those around us and language patterns from NLP. It’s a fast energy shifting process that garners dramatic results and is used with PTSD clients, phobias and much more. 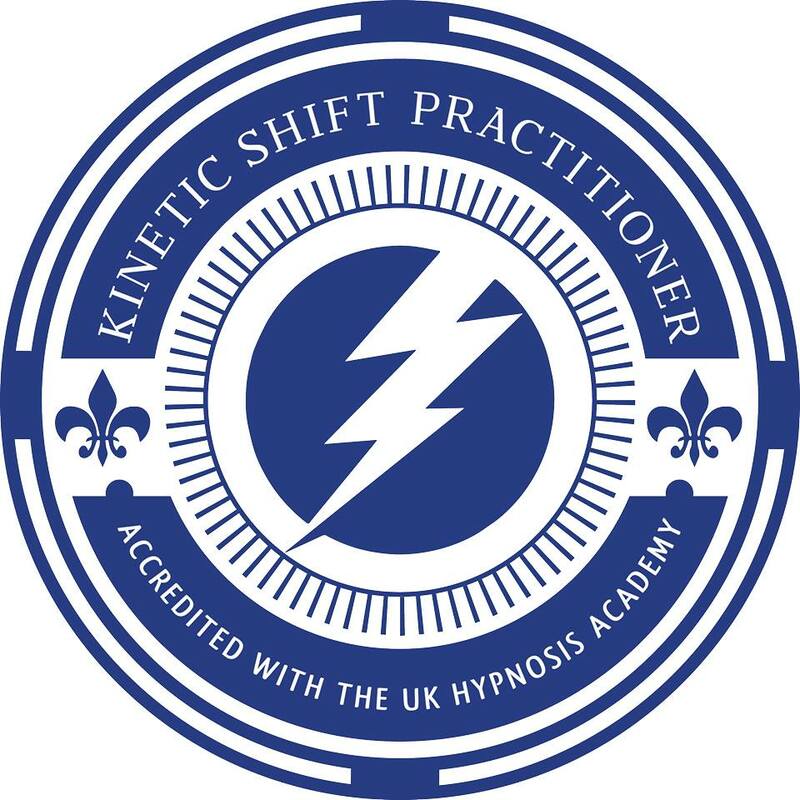 Trainings only through Karl Smith via the UK Hypnosis Academy. 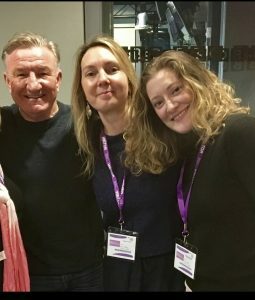 BBC Radio appearance with Mike Sweeney discussing hypnosis, my therapy business and more. I also linked back into personal creativity and performing. Later in the year an unexpected decision to reconnect to performance is through the lens of years as a therapist and coach and is so much more enjoyable for it. As a creative and actor I signed with a new agent and commenced filming for new Sky1 series Bulletproof! I now find the combination of creativity as a performer and my work as a hypnotherapist very valuable. With Dr Ronald Ruden after I presented at the annual 2017 Havening Conference.